One of the few issues to break through the wall-to-wall coverage of Brexit recently has been housing, with the Prime Minister making it her personal mission to solve the housing crisis. And yesterday, the consultation closed on the Social Housing Green Paper, which was described as a ‘new deal’ for social housing. There was early criticism that the plans failed to address supply but Government has made great strides elsewhere by lifting the cap on council borrowing and creating strategic partnerships with housing associations. There’s more to do, particularly on land, but we’re moving in the right direction. But given the tragedy at Grenfell Tower and feedback from social housing tenants at the government tenant events, this was always going to be about other issues: stigma, safety standards, transparency, customer service and accountability. It was only really welfare that was really missing from the consultation, which to me remains a fundamental part of the future of social housing and creates stigma. With the consultation having now drawn to a close, all eyes will be back on government to see what they decide to do next – and whether any changes need legislation. If they do, given the current political atmosphere and an understandable focus on the challenges and workload Brexit will bring, that may be a long drawn-out process. I hope I am being unnecessarily pessimistic. Whatever and whenever the next steps arrive, I think the process of getting to this point has already had a significant impact. It’s made government, the public and all those working in social housing take a step back and face up to their role in creating stigma. We saw a marked change of tone in Theresa May’s speech at the National Housing Federation conference. But it’s about us too. How do we talk about our residents/tenants/customers? 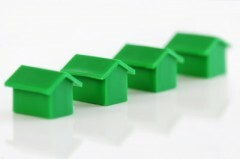 How do we market our own home ownership products – is it always a step up, on to the ladder and so on? How often do tell stories where we’re the hero, rescuing the vulnerable or turning lives around? Do we really give a balanced view of the millions who live in social housing? It’s brought safety standards into the light, with some really excellent reporting from Inside Housing maintaining the publicity and the pressure. Frankly, anything that makes the homes where people live a higher quality and safer can only be a good thing. And, in thinking through the questions over the last few months, housing associations have asked themselves if they provide the best service they can, how involved are their residents in shaping and scrutinising services, how transparent are they in demonstrating their operational performance – and the difference that they make? It’s absolutely made employees – from trades operatives to chief executive officers – listen harder to their residents; we need to make sure that genuine desire to listen and have honest conversations – and learn from them – continue far beyond the consultation period. The sector does some really fantastic work, it delivers where the market doesn’t, it challenges stigma and fights for those who do not always have a voice, and it does set itself high standards. It’s done this for years, long before the public backing it’s currently enjoying from government. But I’m sure every employee in every housing association, in considering the Green Paper themes, will have realised that there’s something they can do to make things better – even if it’s a small change – today. Let’s not wait for government, let’s act now. It can take years for a new home to go from concept to construction. We put down deep roots, we secure mortgages for 25 years, we rent or buy our forever home. But housing policy is made and remade every few years. It’s time to take a longer view, to take control. The heart-wrenching scenes at Grenfell Tower has been a brutal reminder of the scale of the responsibility entrusted to housing associations and local authorities. We do not just build affordable homes; we do not just invest in and work to strengthen communities; we do not just help people get into work or build a career. We do all these things – and it’s our job to keep people safe. Over the last couple of weeks, I’ve seen a sector respond to the tragedy with urgency and compassion. Homes and housing officers were immediately made available, many travelled to London to volunteer and those further away gave what they could to various funds. Meanwhile, right across the country, checks continue to be made on homes to make sure our residents were safe and protected, while housing teams reassure worried people. This attitude is not new. Over the years, as funding dried up, I’ve seen a sector continue to care and invest in their communities and residents. 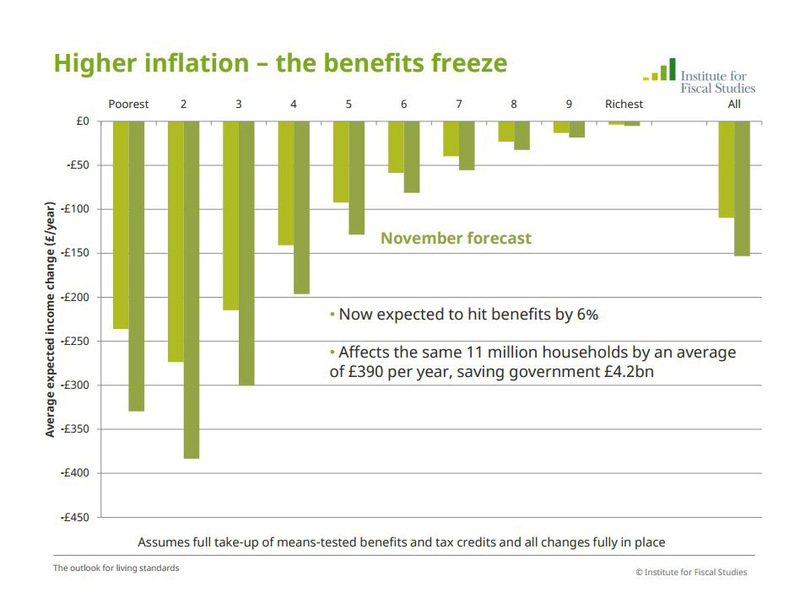 Continued to work hard to support those hit by waves of welfare reform. I’ve seen a sector carry on building right through a recession, even as government grant fell by around 90%. Building affordable homes too. While some are building homes for sale too, its not because they’ve stopped trying to make social rents stack up – it’s the opposite. And, as residents’ expectations of us change, I’ve seen a sector begin a transformation from ‘traditional’ landlords to modern businesses, providing brilliant online services and pushing innovation in customer service and housebuilding. I’ve not met a single person in social housing that doesn’t recognise the value of what we do – or passionately want to play their part in making even more of a positive impact in people’s everyday lives. What we’ve achieved has been in spite of the world in which we work, often on the wrong side of both housing and welfare policy. Government financial support has dwindled, our were rents cut. Residents have felt increasing pressure on their finances too – supported housing, benefits cap and LHA cap hits pensioners, families and the young. Employment has changed, it’s less secure, wages have stagnated and work benefits trimmed. Now inflation is starting to spike. All the while we’re deep in a housing crisis, with demand for quality, affordable housing growing all the time. We’ve known all this for years, but what happened at Grenfell Tower has brought the sector out of the shadows into the intense pressure from the media, the politicians and the public. Our former housing minister, Gavin Barwell, is now Theresa May’s chief advisor. We’ve been here before, with Benefits Street and the ‘curtain twitchers’ dogma, and later accused of not building enough. But this time it’s different. We are, perhaps, at a crossroads. The government that was supposed to last forever is wobbling. While the truth is more nuanced than the headlines, Labour’s revival has been based on a manifesto that stood for the many, not the few. There’s talk, at last, of more support for schools and students, public sector workers like nurses and fire fighters. Theresa May, if she is to survive and rebuild a government, must begin to deliver on her vision of ‘social Conservatism’, with state intervention where it made sense to do so, that she promised when she first became leader. There are a lot of people she described as ‘just about managing’ on the steps of 10 Downing Street who’ve not seen or heard her fighting for them as she promised – and they sent her a reminder on 8 June. Housing associations are part of the solution – politically, socially and morally. We work with people and organisations right across our communities. We’re here for the long-term, far longer than any government can hold on to power. So, now is the time to be clear and determined as a sector, have a clear ask and offer so we can deliver our ambition for thriving and sustainable communities. To uncouple housing from politics. We need a long-term, housing strategy for the country that allows us to build the range of homes we need. A sensible, open approach to land. 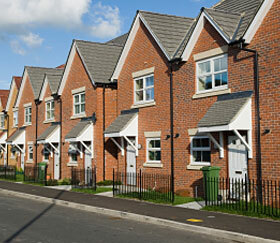 Housing associations, local and national government and public/private sector working together can get better results. To invest in a range of housing (from social rent to shared ownership) as crucial national infrastructure, with 10-year+ programmes. With a broken market, social rent is simply the firmest base from which people on low incomes can achieve. To create pathways from homelessness to housing, with local authorities and housing associations co-creating solutions. The same for health care to home care, freeing up the NHS and helping people live independently as they get older. To join up welfare and housing policy. Just one example, but the benefit cap, the Local Housing Allowance and Shared Accommodation Rate will make people lose their homes, impact their lives and limit their futures. To ensure our regulator, which we need, retains a common sense approach, the power to intervene and calm nerves in a crisis (which I believe they currently do). To remake and set out that commitment to providing a service to our communities and our residents, to work together with them to improve where we live and work. To look again at standards – including design, environment and fire safety. It’s not about red tape; it’s about building homes people love, can afford to maintain, and keep them safe. Let’s be clear. It’ll be difficult, but I don’t see a sector that’s shying away from the challenge. Working in partnership with government, our local authority colleagues, residents and communities, the NHF and the CIH, we can put forward a sensible, long-term plan to end the housing crisis. We have politicians and a public who are listening. Does #ukhousing need activism or slacktavism? My arms hurt. It’s day 7 of my #22pushups challenge, the latest social media craze, where people are posting videos of themselves doing (in my case terrible) push ups. Here’s my day one video, with a little help from my boy. It’s got people engaging, sharing and talking about veteran mental health – an issue that doesn’t normally get attention. But is this just ‘slacktivism’? Do people just feel like they’re making a difference with minimal impact? And is there anything #ukhousing can learn from these crazes? The challenge was started by #22KILL, a campaign group based in the US – to honour those who serve and to raise awareness for veteran suicide prevention through education and empowerment. The ‘22’ bit comes from a survey in 2013, which said 22 veterans commit suicide each day in the US. Here in the UK, CombatStress, a mental health charity for veterans, is supporting the campaign, seeking donations to help those veterans left battling stress and depression. It’s a PR dream. Huge celebrity endorsement. Wall to wall media coverage around the world. Social media is stuffed full of people talking about the issue with their friends (for 22 days each!). The problem is the original message can get lost in translation. It becomes just a challenge, rather than connected to the original cause or issue. And sometimes charities and causes bustle with each other for the online attention – and donations. As I’ve done the challenge I’ve donated to Combat Stress, something I probably wouldn’t have done unless I’d taken part and gone on to find out more about the issue. I’ll be honest, I didn’t donate to the last charity that posted something through my door, hassled me in the street or paid for an advert on the TV. Another success story was the Ice Bucket Challenge. 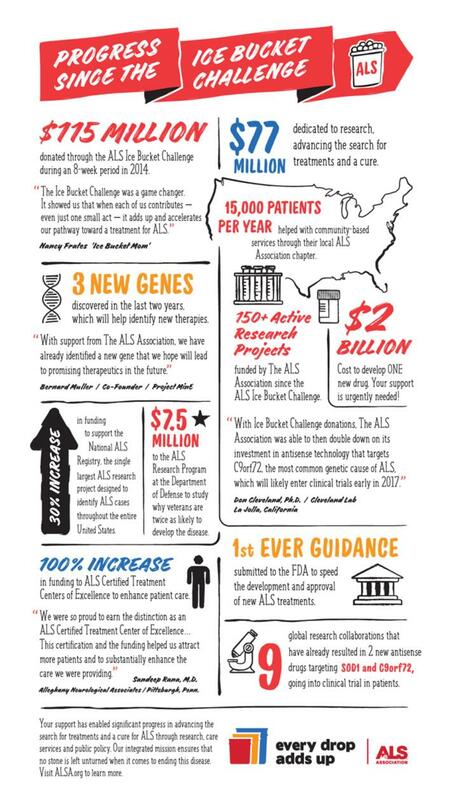 The money raised for ALS has left a lasting impression, as their infographic shows. But, as with all trends, the world moves on, and the issue often remains unsolved. This is never truer than the headlines about the Calais refugee camp running out of food as donations dry up – other issues have crowded it out, for now. Junior doctors are proving that activism can get your cause attention with a bit of rebellion. But will it ultimately get them the result they want? I have an occasional photography blog on Facebook called One Million Lives. It’s a collection of photos and stories. One incredible person I met was Angie Zelter, a campaigner and founder of a huge number of international pressure groups. 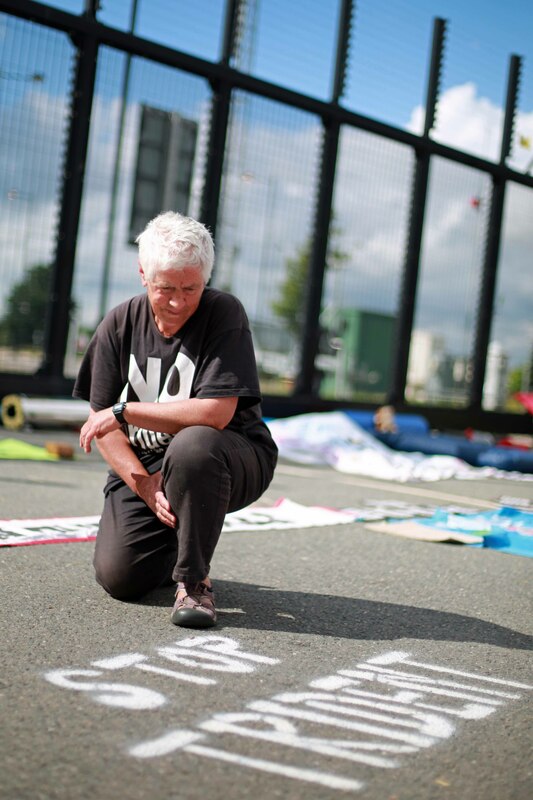 She started her activism career chained to the fences of the US base at Greenham Common in the mid 1980s, protesting about the nuclear weapons there. That passion has grown and intensified, and I met her outside one of the AWE (Atomic Weapon Establishment) sites in Berkshire in the summer, where she’d organised a month-long protest. She was passionate, informed and has dedicated her life to this cause. But despite this, media coverage was light, her message didn’t carry to the masses. MPs voted heavily in favour of renewing Trident just weeks later. So what can housing learn? 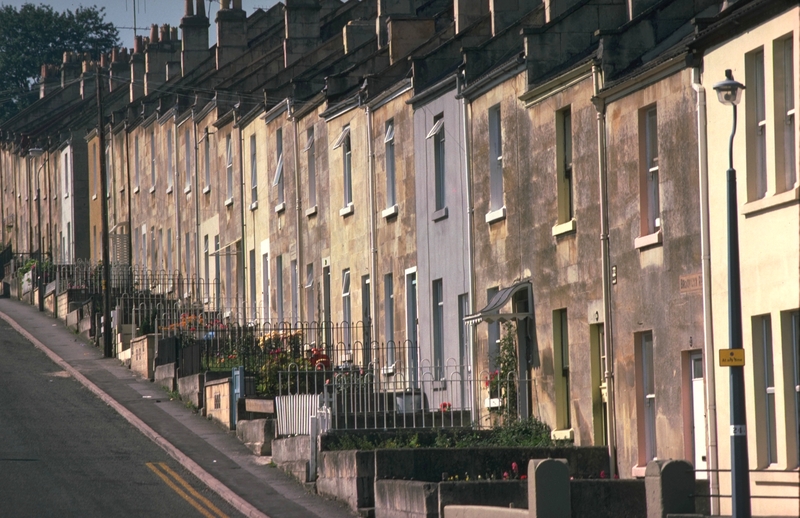 #Ukhousing has felt that it’s struggled to get its voice heard for many years. There have been some great campaigns, with lots of engagement – you can never doubt people working in the sector don’t believe in its importance or social purpose. But we’ve not struck on a moment recently, mixing the activism – to fight for what we feel is right – with a slacktivism hook that gets people talking, engaging and sharing. That gets the housing crisis on the front page of the Daily Mail. That gets politicians clamouring for change. The last time we had that powerful connection with the public was when Cathy Come Home appeared on our TV screens some 50 years ago. We could do with another moment, but more than that, we need a movement. A moment or a movement? As Ken Loach said of Cathy Come Home, ‘a film isn’t a movement, it’s just a film. A film can agitate a little, illustrate, but it’s part of the process. Unless you organise, nothing much will happen – people turn off the telly or walk out of the cinema and that’s it’. A moment is not enough for what we need. Dan Slee asked Twitter this week what were the three main challenges facing the sector. It was a good list. Lack of money, lack of houses, welfare reform and so on. As well as needing a long-term, non-political plan to meet the broad housing needs of the country, the main problem, in my view, is that housing’s stakeholder map encompasses everyone. Whether you’re a politician, a landlord, a developer or a labourer. Whether you’re a renter, a homeowner, a landowner… or none of the above. Everyone has a stake in the game. As the sector comes under greater and greater pressure, housing communicators have a vital role to play in bringing people together through a shared cause. This means getting the story right, absolutely. But this also means focusing on fostering the right relationships – strengthening some, rebooting others. With so much change politically this year, if anything now is the right time to take stock and rethink how those with a role in housing can make it work for everyone. Yes, we need to agitate, to create a moment that connects people with housing – but it’s only through true, new and progressive relationships that we’ll build the homes our communities need, at prices they can afford. Right, I’m off to film my first #HomeRun challenge.